Jimmy Cisneros grew up in Taos, New Mexico in a family where creativity abound and a strong work ethic came with his genes. 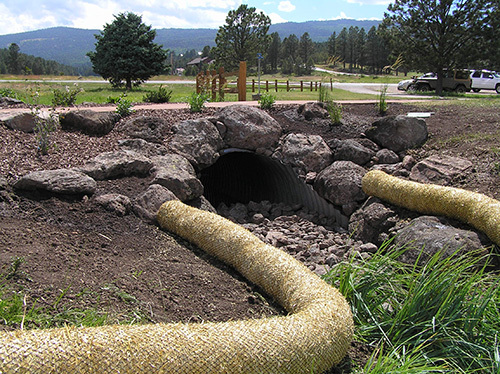 After completing his education at UNM, in the summer of 2000, Jimmy launched Gecko Landscaping. Launched may not be the right word because when he began it was from a humble beginning. Gecko had an old pickup truck, 4 wheelbarrows and lots of rakes, shovels and picks. But cream rises to the top, even in remote northern New Mexico, and by years end they had 20 employees and were ready to compete with larger companies in Santa Fe and Albuquerque. 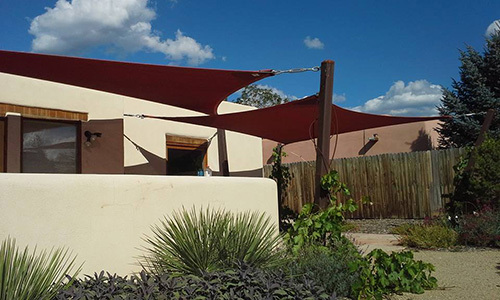 Gecko prides itself on originality, creativity, use of recycled materials, applying traditional materials in untraditional ways, and one of a kind plans and installations that will always have impact. Simply, we have always gone for the WOWand nothing less works for us. We have the creativity to envision and deliver outdoor living spaces that will add to your life’s enjoyment, where people will love to gather, where time will move all too quickly. We have a skilled and dedicated staff that can create what we can envision and the quality will be unmatched. Over the years, we at Gecko Landscaping have had the opportunity to grow, individually and collectively. We are so very grateful for the people and businesses that have put their trust in us, who have helped make us what we are. We, at Gecko Landscaping,feel blessed for those we have met on this journey and those that will be coming into our lives in the coming years. We have built our business thanks to the kind words of others and the workmanship we deliver . We are up to any challenge. We can imagine and then execute any plan. No job is too big nor too small and we give each client our very best. Each and every time!